Is It Possible to Charge a Phone Wirelessly in a Car? Question: Is it possible to charge my phone wirelessly in my car? I’ve heard about this new wireless charging technology, and it sounds a lot more convenient than using a USB cable or whatever. What I’ve heard is that some cars are coming with wireless charging capability, but I’m wondering what phones actually work with it, and can I get that kind of thing without buying a whole new car? The short answer is that you can charge your phone wirelessly in your car—virtually any phone in virtually any car—although your mileage may vary depending on a variety of factors. 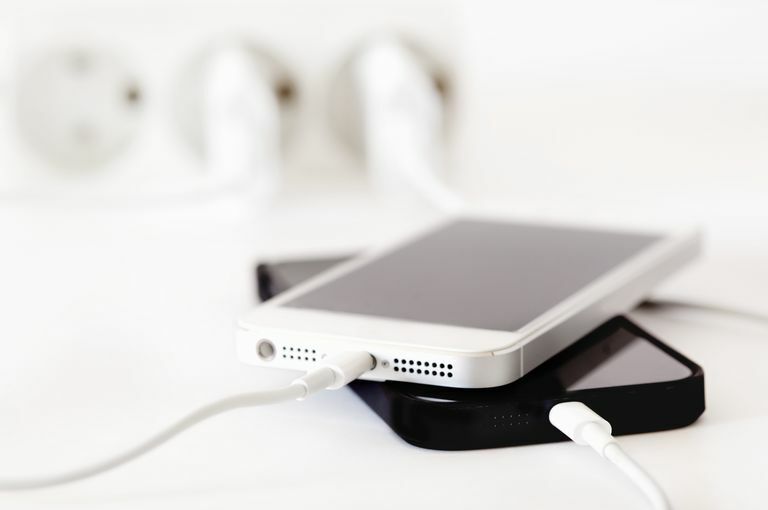 Although inductive charging has been around for a while, there are a few issues that make it somewhat poorly suited for use in charging devices inside a moving vehicle—especially compared to the convenience offered by most modern phones making use of USB as a standardized charging method—and different implementations of wireless charging technology have handled that problem in a few different ways and with varying levels of success. Wireless charging technology is also referred to as inductive charging, which is a fairly accurate description of how it works. The basic idea is that a base station generates an electric field, which transfers energy to a compatible device via an inductive coupling. This type of charging is less efficient than charging systems that use conductive couplings, but they are somewhat easier to use due to the fact that you don’t have to physically plug anything in. Instead of plugging in a charger, you simply set your phone, or any other compatible device, on the base station, and it automatically starts to charge. Although wireless charging, and wireless electricity in general, may seem like science fiction, it has actually been around for a long time. If you’ve ever seen an Oral-B electric toothbrush, then you’ve seen inductive charging in action, since Braun has been using the technology in that application since the early 1990s. Other industries were slower to adapt the technology, but the first cell phone with built-in inductive charging was launched in 2009, which is the same year that the Wireless Power Consortium introduced the Qi standard, which allows for interoperability between chargers and devices made by different companies. The first time inductive charging showed up in cars, it was actually used to charge electric vehicles. As far back as the late 1990s, a system called Magne Charge used an inductive coupling to charge electric cars, although it was replaced by a standard conductive coupling in the early 2000s. Although inductive couplings are inherently safer in those applications, conductive couplings—with additional built-in safeguards—won out due to the fact that inductive chargers aren’t as energy efficient as conductive chargers. Your basic options, if you’re interested in wireless charging, are to buy a car that comes with an OEM-installed charging station or install an aftermarket charging station in a car that you already own, and you can also choose to buy a new phone with built-in wireless charging functionality, or slap on a wireless charging interface. Of course, nothing is ever quite that simple, and there are two competing wireless charging technologies that you may run into Powermat and Qi. Several cellular phone manufacturers have jumped on the Qi bandwagon, so if you own a phone that is already Qi-compatible, then you’ll want to look for a Qi-based charger. Some automakers are leaning towards Powermat though, so you may find yourself the proud owner of a Powermat-based wireless charger whether you want it or not at some point in the future. Two of the first automakers to commit to installing wireless phone chargers at the factory were Toyota and Chevrolet, and each one opted for a different standard. The Qi system is currently available from Toyota, and GM’s first demonstration of wireless charging technology was in the 2011 Chevy Volt, although the option didn’t make it to production vehicles at that time. If you’re in the market for a new car anyway, and you’re an early adopter type, then those are two of the places you can look. Or if you’ve already purchased a new vehicle that came with a wireless charger, then you’re pretty much locked into whatever it came with. However, it’s also possible to install an aftermarket charger, and in that case, you have a lot more control. Unlike factory-installed systems, which lock you into one charging standard, you have options if you go the aftermarket route. The first thing you have to do is choose between Qi and Powermat. If your phone supports Qi without any attachments, then you’ll be best served by choosing a Qi charger. If it doesn’t, then you’ll need to buy a special charger case, and you’ll probably have your choice of either Qi or Powermat. When you go the aftermarket route, you also have a lot of different choices in terms of what base station you go with. You can select a flat pad, like the ones that are designed for home and office use, but you’ll find that there are better options out there for automotive applications—like cradles, holsters, and even chargers that are designed to slip into a cup holder. Each of these options is better for use in a car than a flat pad since it will prevent your phone from sliding around while it’s trying to charge. Of course, you can always stick with your 12V USB adapter, tangled wires and all, while you wait for the dust to settle, and either Qi, Powermat, or some other challenger to emerge as the clear winner in this particular format war. Android and Apple Have It: What Makes Qi Wireless Charging Special? Does Your Car Have a Black Box? Can You Count on Your Car's Battery During a Power Outage? What Is a Car Radio Code?